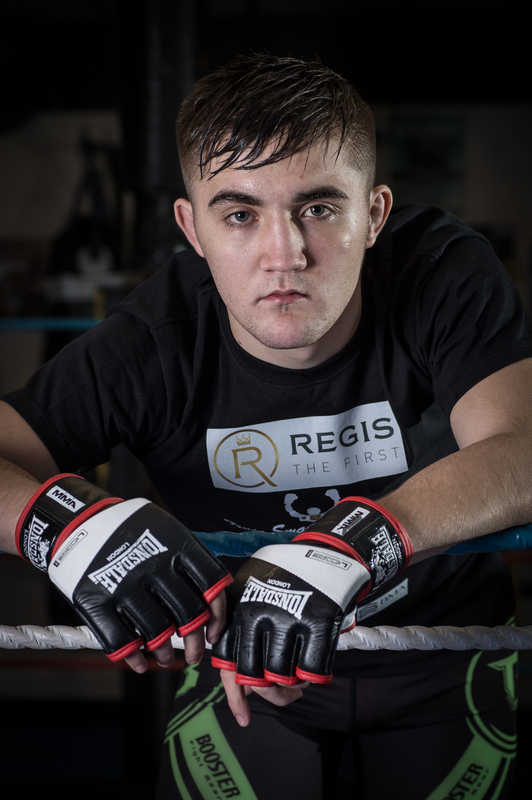 Regis ‘The First’ Sugden will be back in the BAMMA cage next month, just 12 weeks after his explosive debut on the professional MMA stage in December. The Suggy’s Gym fighter, who scored a convincing victory by TKO over Paul Bentley on the card of BAMMA 17, will meet Ben ‘The Handyman’ Dearden on Saturday 21 February at the Civic Hall in Wolverhampton. Originally scheduled as Regis’s opponent in December, Ben was forced to pull out of the fight due to injury and has gone on record as saying he will be taking Regis ‘into deep waters’ now he is back in the game. “I learned a lot from the last fight and, wherever Ben wants to take this one, I’ll be more than ready,” said Regis. “I hope he looks after himself between now and 21 February and makes it into the cage this time. After easing off on training over the Christmas and New Year holiday, Regis has now started his fight camp with a vengeance, working on his MMA skills under the watchful eye of Judo Jimmy Wallhead and perfecting his striking in the Newark gym with head coach and dad Dean Sugden. “Jimmy and I are on the same wavelength,” said Dean. “We always prepare for a specific opponent but we leave nothing to chance and we’re ready for any challenge. Tickets for BAMMA 18 are £35, £50 and £100 cage-side, with transport for local fans available on request. For details and bookings, email dean@suggysgym.com or call Suggy’s Gym on 01636 605708.